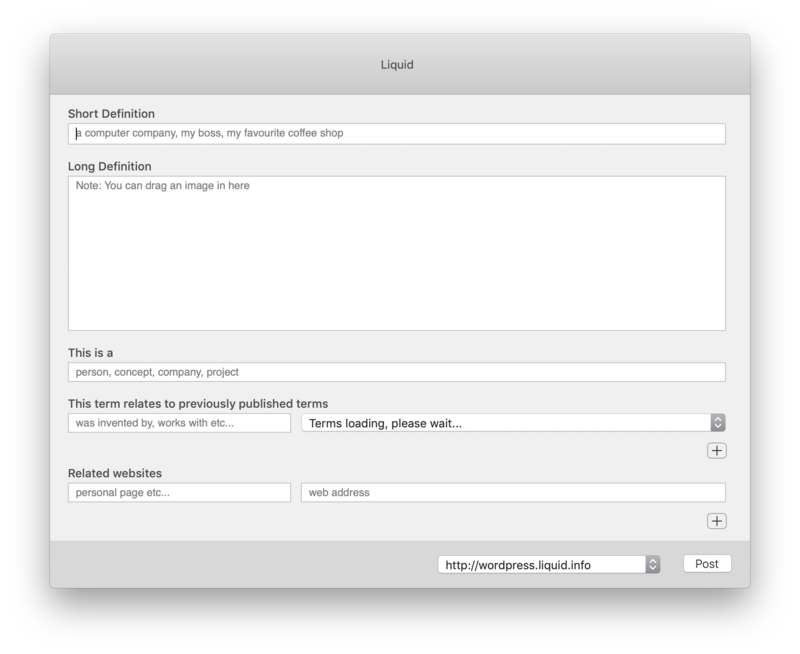 I think the data for the Liquid Space should be stored on WordPress. What I need is a way to quickly add academic documents as glossary terms as well. Therefore, being able to go to a download site and both download a PDF with correct meta-automatically attached, such as name, authors, date and so forth and at the same time also have this added to the glossary as a blog entry could be very useful. 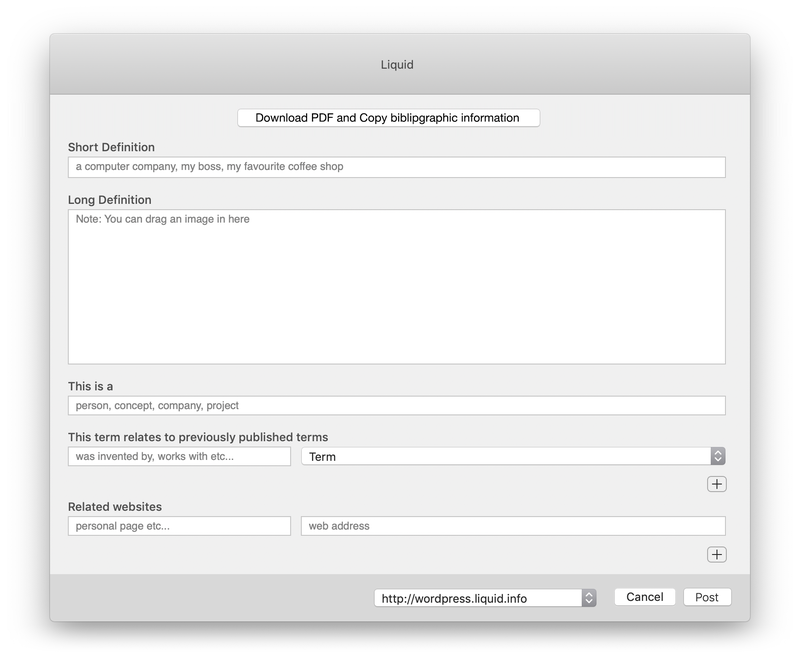 The two should be linked: The downloaded Rich PDF and the blog post glossary so that when viewed as nodes in the liquid view they can be clicked on to open the Rich PDF. The issue can be seen here: http://wordpress.liquid.info/sketchpad/ At the bottom I have a link to the thesis document Ivan Sutherland wrote for this project but it should of course be a link to another blog post glossary elements where all the parts of the documents are surfaced, such as author, title and so on, so that the Liquid View can import it and show it, all the while retaining a link to the actual document on the users computer. Perhaps a single plugin can do both? This would provide fodder for any visualisation application and make the local documents quick to cite from. Safari, Chrome and/or Firefox, starting with whichever is easier to build in. It should look exactly the same as the add to glossary window in Flow (as shown above). The Ideal interaction is that one command should both populate this glossary entry and download the PDF with the author, title etc. attached, if this is possible.